Workday recently announced that TomTom had chosen their HCM solution and was looking to roll it out across its global operations. 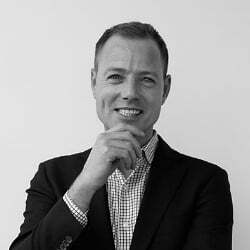 To find out more we spoke to Arne-Christian van der Tang, senior vice president, Group HR, TomTom about their decision and what they hope to achieve. Founded in 1991 TomTom was one of the first consumer satellite navigation providers. In March 2004 it released the TomTom Go and saw a significant rise in revenues. Problems with its Apple iOS app in 2009 saw the start of a few difficult years for TomTom. However, it has since restructured the business, released a number of new products and re-established itself as the market leader in navigation and mapping products. As a technology company the key to success is the attraction and retention of staff and van der Tang is conscious that there is a talent war for the best in IT at the moment. To win that war TomTom needed their HRM systems and processes to deliver a great solution for nearly 4800 employees spread across at least 35 countries. TomTom is a data centric company. Whether it is automotive, consumer or mapping solutions, everything is data driven, except for their internal HRM solution. This was van der Tang’s challenge. The old system was built around a core HR solution that was actually adopted by TomTom following one of its acquisitions. To compound the problem there had been several additional components bolted on over time, some of which had little or no integration with each other or the core system. While the primary objective was to centralise data and have a system that allowed a far larger data set to be collected in a friendlier way, we asked van der Tang what HR objectives he hoped to deliver with the new solution. A single core system into which all data is collected would remove the necessity for dual keying and reduce the workload on the centralised HR function according to van der Tang. 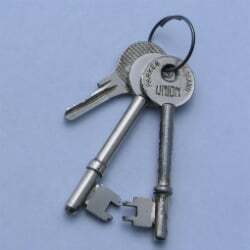 For other companies it would also reduce any error rates incurred during rekeying. The new system would also need to introduce full self-service for employees so that they could enter data direct onto the system rather than filling in forms cutting down errors and improving overall data quality. It would also mean that with applicant tracking linked to the core solution, selection, recruitment and on-boarding could become a seamless workflow in a single solution. Listening to van der Tang, TomTom is clearly an employer that seeks and often obtains high calibre candidates. The issue is that amongst the nearly 70,000 applicants there is no easy method to keep in touch with them. He doesn’t want the old phrase: “We’ll keep your CV on file” to mean that its been binned. Currently their recruitment team try to keep in touch with candidates but it’s done on an ad hoc, often Excel driven basis. He clearly wants a solution that will not only help with the on boarding, selection and recruitment of candidates but also track those who still retain an interest. It will be interesting to see if that extends to alumni. “I think we are in a unique position, we are a European company in consumer electronics. Brand and talent attraction are two biggest drivers for success. Being able to track talent, and for that the experience needs to be at the highest possible level” said van der Tang. In fact the answer is slightly deeper and as we probed the surface it was clear that Workday met two additional reasons. The first was that it met TomTom’s diverse international and internal HRM requirements. The second was that as a supplier Workday was also a good cultural fit as a partner. Considering both companies’ cultures similar were similar in what they look for, van der Tang said: “What is out there, looking for the next problem to solve. What is holding the current users back from doing it. You need to analyse and understand, not come with similar or same product but that fixes the problem that current users have. So how will TomTom approach the implementation? The challenge is to map both the corporate culture alongside localised processes both by country and department. One example of this challenge is the TomTom approach to performance management. Performance management is not a single twice yearly review process, nor is it a continuous feedback process. In fact TomTom have at least three basic styles that Workday will look to support. These are due to local culture and based on employee role. For example in Asia, they are less likely to be 360 degree appraisals, but they are still formulaic annual appraisal types in most cases. In Europe the development teams have “Agile” appraisals, based on the length of their sprints. In HR, van der Tang seems to have introduced employee centric appraisals, where it is the employee who drives the appraisal process when they wish to, rather than management imposing it upon them. Workday will look to build the processes for all of these over the next few months. The idea of the personalisation of HR solutions is an interesting one and one that might be a step too far for many companies to look to develop. However, the idea is interesting especially the ability to use machine learning to help individuals through their career within a company. Delivering personalised recommendations for individuals on learning and even holidays might sound too much like big brother but there is something bigger in this. Companies often want to maximise the output from their staff, perhaps to the point of burn out. If managers, projects and employees are delivered suggestions around vacation time to fit both projects and help avoid burnout it would be to the long-term benefit of the company. Staff members need to retain their motivation, be delivered opportunities at the right time and have their abilities increased as they continue to through their career. Missing out on one of these can lead to disgruntled employees who leave. Perhaps van der Tang is onto something, it will be interesting to see what developments the HRM software community come up with next. 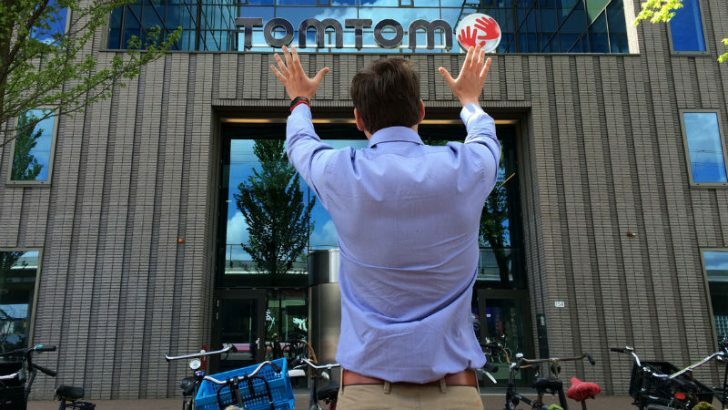 TomTom selected Workday to resolve not just their HRM challenges today but also their future ones. In considering their future applications TomTom has selected a partner that can deliver constantly updating software that they can take advantage off. As a technology business itself TomTom understands the constant need to innovate and deliver a product that evolves into the future. van der Tang may not have chosen the best recruiting or absence management solution but he firmly believes that the end result will deliver the benefit to his business. As the consumerisation of technology gathers pace it will be interesting to see how both Workday evolves its product and whether they develop personalisation within HRM or look to enhance other aspects. For TomTom as it strives to be lead technology brand based in Europe it will be interesting to see how the changes it intends to make will make a difference. Previous articleCloud integration, the future?